News reports say that Japan is also budgeting for a PAC-3 missile system to be permanently deployed in Tokyo. Japan will deploy the Global Hawk unmanned reconnaissance aircraft starting in fiscal 2015, the local daily Yomiuri Shimbun reported on Friday, citing unnamed government sources. According to the report, Japan’s Defense Ministry plans on including 200 million yen (US$ 2 million) in next year’s budget for the “research and study expenses” involved in introducing the Global Hawk. The budget will also contain a provision mandating that the drone be deployed by 2015. Yomiuri Shimbun said the government was in the process of selecting a base for the reconnaissance aircraft. According to the newspaper’s sources, the lead contender so far is the U.S. Air Force’s (USAF) Misawa Air Base in Aomori Prefecture way up in the northern part of Japan. Germany has its own version of the Global Hawk, which it operates under the name, EuroHawk. 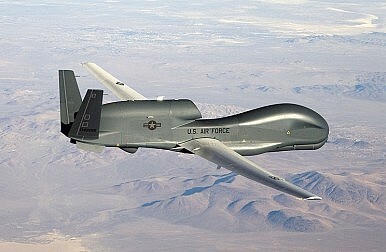 The U.S. Navy has a UAV under developed called the MQ-4C Triton, which is based on the Global Hawk. As James Hardy reported in The Diplomat back in January, South Korea is also pushing ahead with the purchase of four Global Hawks, although the prohibitive cost of the aircraft may ultimately doom this effort. High cost overruns have led the U.S. Air Force to significantly scale back its procurement plans for the Global Hawk, and further reductions could still be in the offing. Instead, the USAF will continue to use the U-2 manned aircraft. At the same time, the newspaper said Japan’s ASDF would jointly operate the drone with the USAF. The USAF, however, is already known to fly Global Hawks over Japan, and some have even speculated that the U.S. military has quietly allowed the ASDF to temporarily use them at times. It was not clear from the Yomiuri Shimbun article how cost-sharing would work for the joint project, or how the joint operation would actually work. For example, it wasn’t clear from the report if Japan actually planned to purchase one of the aircraft itself, although Kyodo News reported last month that Tokyo was considering this option. The possibility of Japan buying between one and three Global Hawk drones has been floated elsewhere, and Chinese media said earlier this week that Japan is considering buying three Global Hawks from the U.S. over the next four years, although the sourcing of this report wasn’t entirely clear. The Yomiuri Shimbun report also said that the defense budget would include four million yen for the research and study expenses for the deployment of a new early warning airplane by FY 2015, 1.3 billion yen for two amphibious vehicles and 1.7 billion to permanently station surface-to-air Patriot Advanced Capability-3 missile defense system in Tokyo. Currently, Japan moves PAC-3 systems into Tokyo only during crisis periods with North Korea. The planned purchase of drones is in response to rising regional tensions. Will they make a difference?